This interactive workshop proposes to the PDC audience a method that can be of benefit to those who are new to data and analysis. The workshop hopes to create connections between the PD discipline and practitioners within the data literacy space to learn from each other and inform this emerging field, to try and move the needle away from boring spreadsheet trainings conducted in dry online settings. Aligned with this year’s conference theme of politics and democracy, the workshop will raise questions about if and how data literacy and storytelling practices can impact power dynamics and contribute to democratic decision making within communities. This is a timely topic, given the central role data has played in recent political campaigns. Conversely, we will also be interested in learning how democratic and participatory design approaches can inform data literacy and storytelling practices. 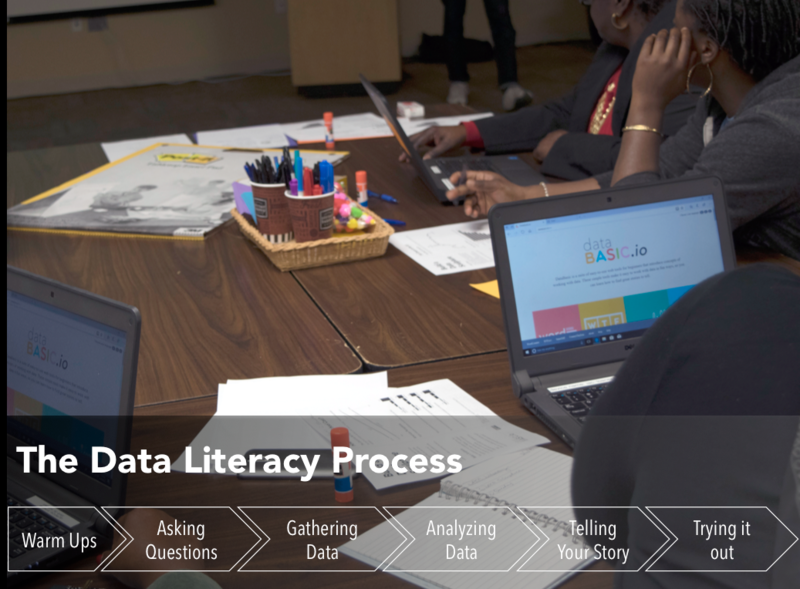 We invite researchers, practitioners, activists, educators and designers who are interested in furthering the state of data literacy within their communities.